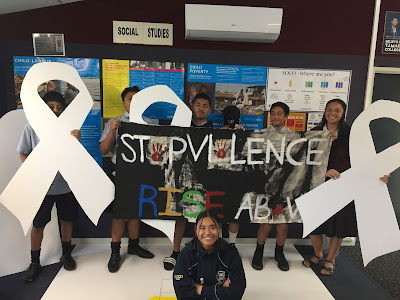 In morning assembly today a couple of year 11's talked about this march they were going to attend Friday the 23rd of November for white ribbon day. Each year particularly on the 25th of November, they celebrate white ribbon day. 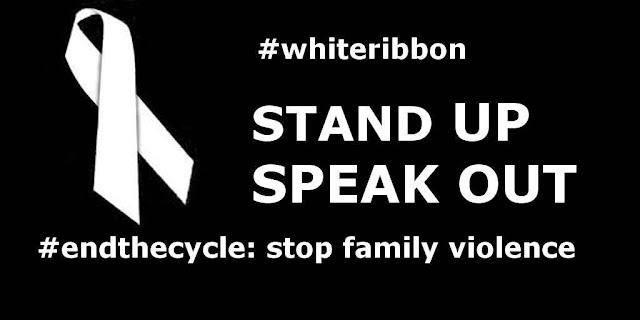 White ribbon day is the international day for the Elimination of men's violence towards women and children. White ribbon aims to end men's violence towards women by encouraging men to lead by example and talk to other men. Today is the first week back here at school and not to mention our first week back at food tech. For our first day back we learnt to make chocolate muffins. . .Again. 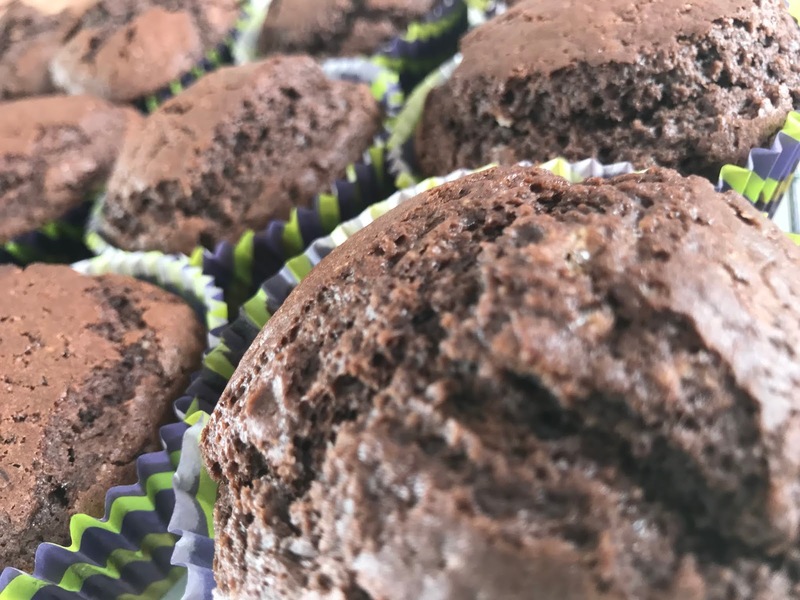 To make this we used 2 cups of Self rising flour, one cup of sugar, 1/4 cup of coco powder, 1/2 of oil, 1 cup of milk and one egg. Before you make your batter, pre heat your over to 180 degrees. Then set up your cup cake trays with cupcake shaped baking sheets and put that aside. 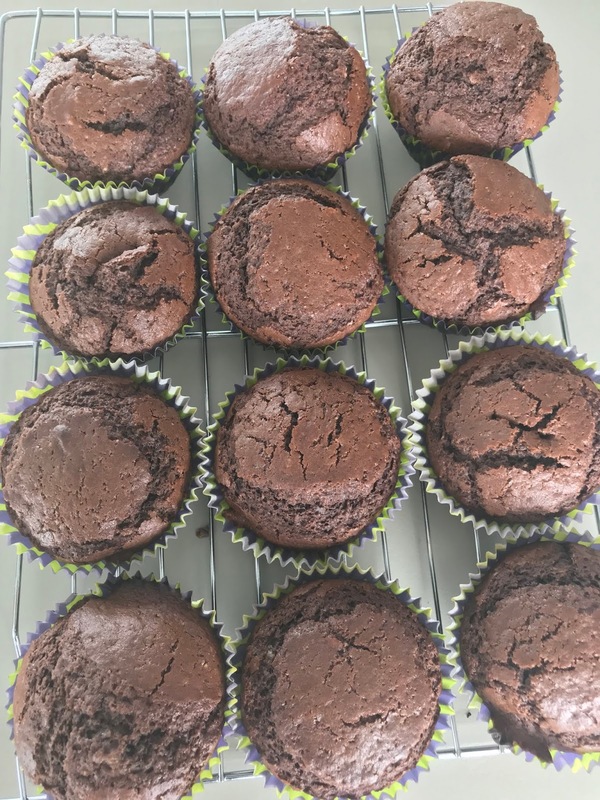 After you have everything prepared, mix all your ingredients together and make sure it's nice and smooth, you don't want it to be to runny, just make sure it's thick enough and runny enough to split into 9 cupcake sheets. 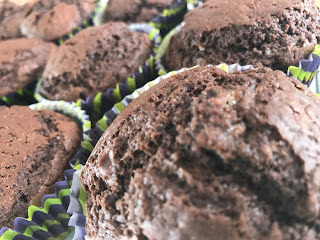 After you've mixed it, get a large spoon and scoop half the batter into each cupcake paper sheet, the batter should be split even into all cupcake paper sheets. After that leave in the over for at least half an hour, poke with a kebab stick to make sure it's ready. Then there you go, an easy tasty way to make yourself a chocolatey treat. The teachers union president (Lynda Stuart) Supports the teachers strikes because the teachers are tired and they are underpaid. Quote- " Why didn't it happen three years ago? We weren't quite in the same situation. People were embattled, really, because of all of the policy changes. They were demoralised, they were tired, They are still tired, they are still overworked but they have been given hope." I agree with this because, I think teachers deserve a rise in there pay, I mean they work throughout the week days, for at least 1-10 hours a day. 8am-3pm being the times they teach and the extra 3 to come together with all the other teachers and have meetings to discuss over how they can help the kids in there classes and what is next to teach. Last week on Thursday me and a group of year nine students were selected to go on a trip down to Grace International Hall (By Pak'n Save ) To play some table tennis with some elderlies. We went down and met up with an officer called Len. He explained to us that most of the people there were full Chinese and that most of them were ages 80+. He walked us in and as we went in we introduced ourselves "Nihao ma wo jiao Heather", which means "Hello my name is Heather". Not long after introducing ourselves we went and started playing. 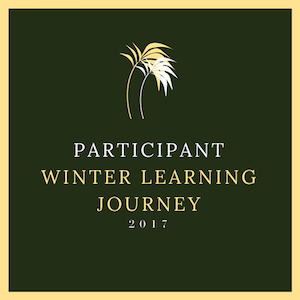 It started off slow, one student at a time, just rotating, but then we started to open up and all split up and versed different people, will play two on two, and pare up with an elderly, then will play one on ones, all different type of things. It was a blast getting to meet some new people that I wasn't really familiar with, and out of all this, I finally learned how to play table tennis properly. But it was a good experience. After all the fun we returned back to school and period three and carried on throughout our days. The New Zealand PM (Prime Minister) Jacinda Aderene, has just congratulated Scott Morrison on becoming the new Australian Prime Minister. The New Zealand Government is also hoping to connect with the new Australian Government to improve the trans-Tasman relationship. The Minister of Justice and the Minister of Foreign Affair Minister Vinsters are concerned about the deportation of New Zealanders living in Australia. Many of them are being sent out without a fair trial or being charged. What it means to be cyber smart and why it is important? Being cyber smart means being safe online, posting appropriate things and making sure that what you do online is positive and helpful. It is important because what you post online could affect you in the future bad or good and the things you share and show. Two things you learned about being cyber smart and how you could apply it to your own life? One thing I learned about being cyber smart is being positive. Applying this into my life could make things much easier, cause you would already know that nothing bad is going to happen and you won’t have to worry about any drama or beef between anyone. One example of what I mean about being positive online is like, posting positive things like appropriate photo’s, and meme’s that won’t throw any negativity to anyone. Another thing I learned is adding/chatting to people you actually know, cause as they say, “Never talk to a stranger”. A personal strategy a young person can do to help themselves if they are being cyberbullied? The person being bullied could screenshot the messages and show a teacher/principal or parent about the things they say and do to them and can get everything done and dusted before anything else happens that could cause thoughts that could get out of hands. An interpersonal strategy a young person can do to help their friend who is being cyberbullied? They could be the ones who take evidence of what the cyberbully is doing and show a teacher or principal so they can have a parent meeting to stop this cyberbullying before it gets out of hand. A personal strategy a young person who finds themselves bullying other young people can do to help build their self-esteem and change their behavior? Try making friends with them and try help them understand that what they are doing is wrong and it is just hurting the other person. 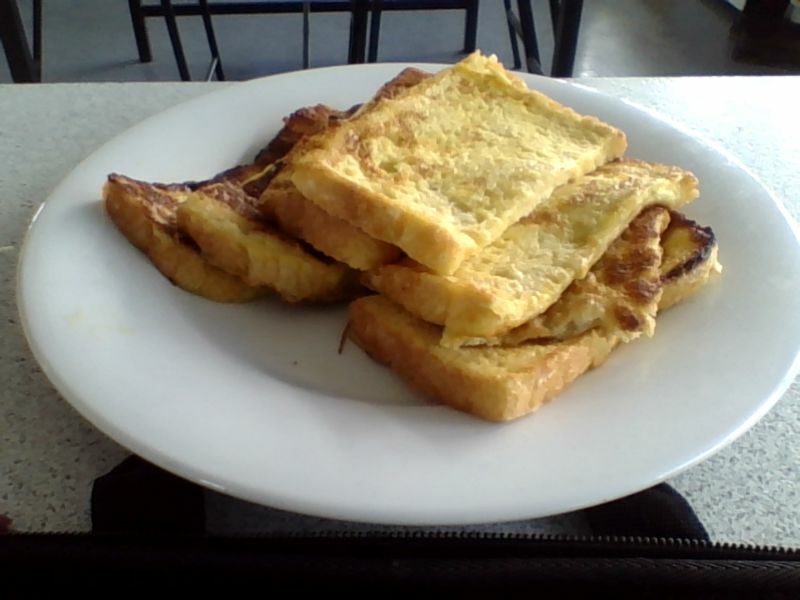 Today at tech class we made french toast. It's a combination of eggs and toast fried in a pan. It is a simple yet delicious meal you can make for either, breakfast, lunch, dinner or whenever you feel like it! The things you will need, are. . . Four eggs, half a cup of milk, some bread, butter, a bowl, whisk, and a pan. The first step pre-heat the stove to quarter-too and put your pan on it to heat up. As that warms up, crack four eggs into a bowl with half a cup of milk and whisk until well combined. Step two, cut your bread in half and dip into your egg mixture. Once the pan is hot enough, put some butter in it and let it melt, after that place the soaked bread into the pan and let cook till golden brown. Once golden brown on both sides, put it on a plate and it's ready to serve!